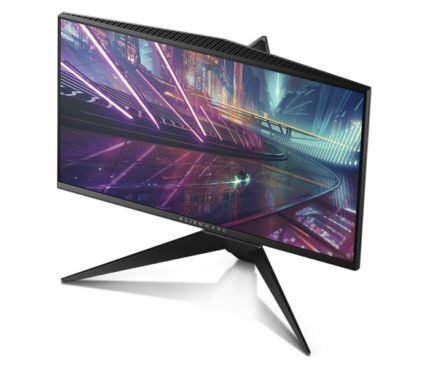 Alienware, a subsidiary of Dell, has released their first gaming monitors with native 240Hz refresh rate and 1ms response time for the smoothest competitive gameplay. The gaming monitors will be available in two versions – with G-Sync, the Dell Alienware AW2518H and with FreeSync, the Dell Alienware AW2518HF, so you can pick yours according to your graphics card. In others news, Dell and Alienware have also released new gaming keyboards and mouse devices. The main difference between the two models lies in the variable-sync technology. Both gaming displays will feature the same TN-based panel with the native 240Hz refresh rate, Full HD resolution, and the rapid 1ms response time. The Dell AW2518H will also feature the AlienFX RGB lighting technology, whereas the FreeSync model will not. The AlienFX technology allows you to customize dynamic ambient lighting that’s on the rear side of the Dell Alienware AW2518H G-Sync monitor. Moreover, you can synchronize the lighting effects with the on-screen action of 150 compatible game titles. The Full HD resolution of 1920 x 1080 pixels on a 24.5-inch display provides a solid pixel density of roughly 90 pixels per inch which in turn offer crisp image quality. Although TN panel displays don’t have as accurate colors as the IPS nor as rich contrast as the VA panels, they offer the impeccable 1ms response time speed for zero ghosting of the fast moving objects in the fast-paced video games. 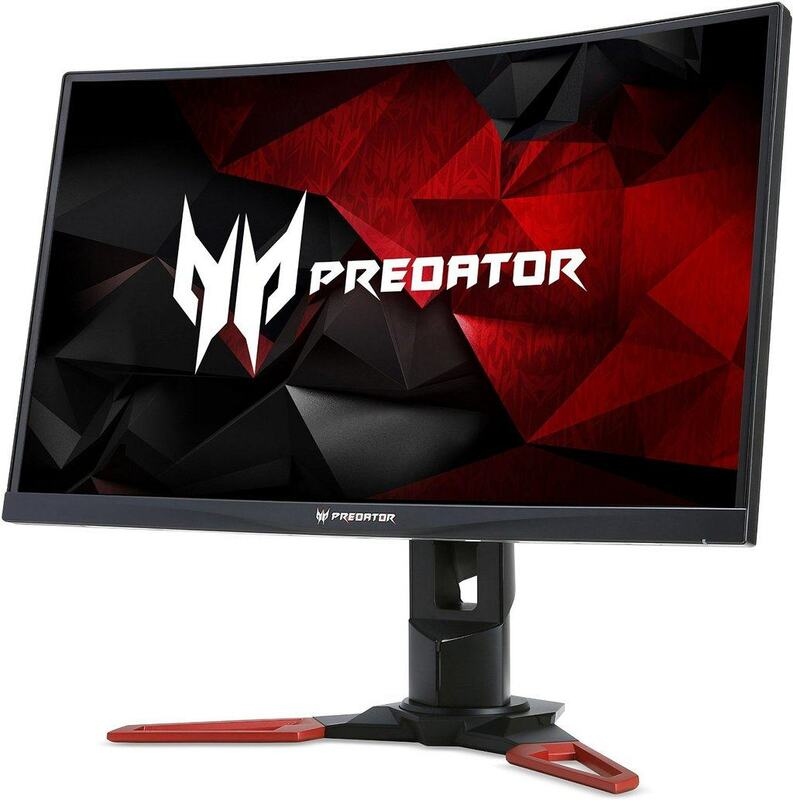 In addition to the soaring 240hz refresh rate, high-end professional players can enjoy the state-of-the-art performance in competitive gaming. Apart from poor color performance in comparison to other panels, TN panels also suffer from the viewing angle issue. However, the Dell Alienware 240Hz monitors are intended mainly for gaming, so the viewing angles won’t bother the main target consumers. Besides, both monitors will offer full ergonomic support, so you will be able to match the screen with the angle you’re looking at the screen if you were to watch a movie, for instance. The Dell Alienware gaming monitors also feature three customizable gaming picture presets as well as simplified multi-screen setup process in the OSD. Both Nvidia G-Sync and AMD FreeSync technologies synchronize the refresh rate of the monitor to the GPU of the corresponding graphics card and thus provide dynamic refresh rate. Within the range of the dynamic refresh rate, screen tearing and stuttering is eliminated while input lag is reduced for the smoothest gaming experience possible. Moreover, the FPS (Frames Per Second) rate is more stable and less prone to fluctuate. Besides the compatibility of the graphics cards, there is only a slight arguable difference in the performance of the two technologies. 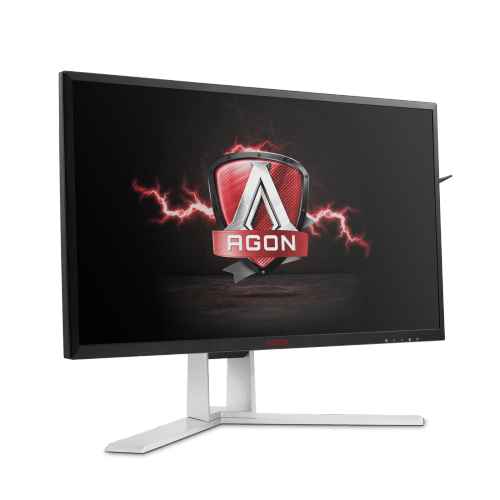 In short, G-Sync displays are more expensive, by $200 in this case, but offer somewhat more enhanced gameplay and a wider range of the dynamic refresh rate. However, most will argue whether such difference is worth the premium price. Considering that you will need a premium graphics card in order to play at 240Hz in the latest games anyway, the Dell Alienware AW2518HF FreeSync monitor will be more viable once AMD releases more powerful graphics cards. 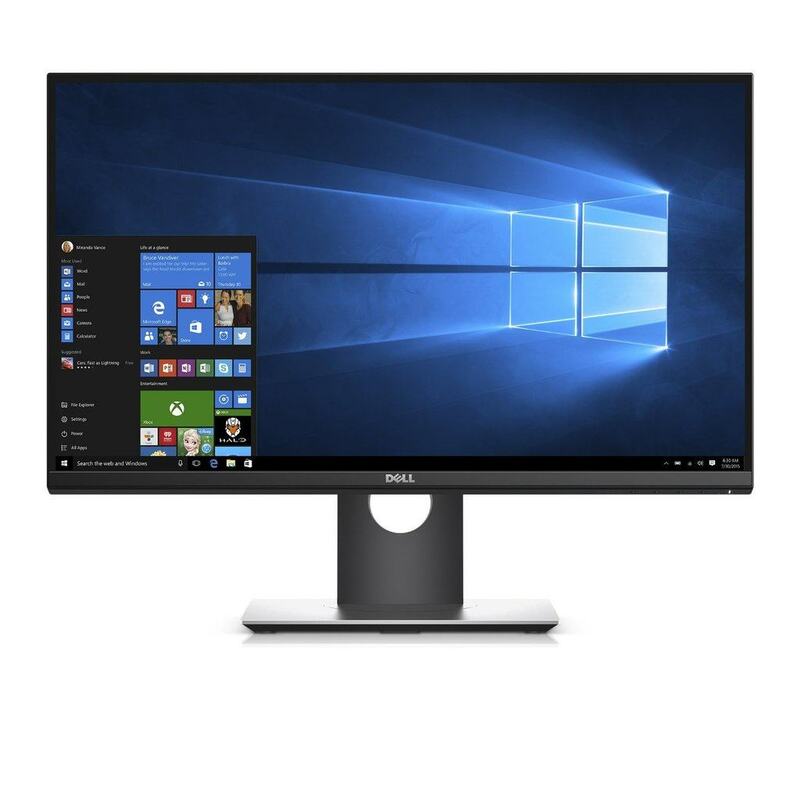 The design of the Dell Alienware AW2518H, as well as the Dell AW2518HF, consists of narrow bezels that are ideal for seamless multi-monitor setups. The bottom bezel is a bit thicker though and serves as a dashboard for the dynamic OSD (On-Screen Display) controls. Alienware logo proudly stretches across the bottom bezel while the cabinet features silver/black chrome finish. Ergonomics include tilt, pivot, height adjustment, and swivel. Both monitors will offer same connectivity options including a DisplayPort 1.2 which supports the variable sync technology, HDMI 1.4, an audio line-out, and four USB 3.0 ports. The Dell Alienware AW2518H price amounts to $700 while the Dell Alienware AW2518HF price is $500; they are both already available for purchase. It’s an expected price for the high-end professional gaming machines that will mostly interest only serious competitive players. The $200 difference may raise the question whether G-Sync is worth it, but considering that you will need quite a powerful graphics card, or two, to run the latest games at 240Hz, there isn’t much choice – at least for now. Gaming at 240Hz may not yet be fully feasible nor accessible to most people, but as we’re slowly moving towards it, Dell and Alienware will have awesome gaming monitors waiting for us. Competitive gaming doesn’t get better nor easier than with 240Hz, 1ms response time, and variable sync technology which give the professional players the edge over their opponents. Sure, paying $700 for a 24.5-inch panel with only 1080p resolution and inferior viewing angles and color quality may sound silly, but competitive gamers need every millisecond of advantage they can get and the Dell Alienware AW2518H delivers just that. ASUS and Acer, make room for Dell Alienware’s new 240Hz gaming machines – as they are mean. The Dell Alienware AW2518H and the Dell Alienware AW2518HF gaming monitors offer everything high-end professional gamers need including variable-sync technology, quick 1ms response time, a whopping 240Hz refresh rate, and a fully adjustable stand. Dell just missing the mark with these. I know there’s a market here, but for me, I just can’t go any lower than 1440p. I think the price is rather the issue. They could always have a higher resolution version.